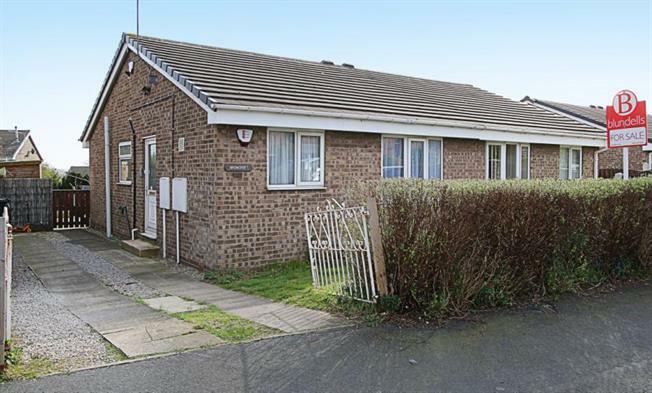 2 Bedroom Semi Detached Bungalow For Sale in Sheffield for Guide Price £130,000. Only upon internal inspection can this well presented two bedroom semi detached Bungalow be fully appreciated. Offered for sale with newly installed gas central heating, recently refurbished, also having the benefit of double glazing, gardens to front and rear, as well as a double length driveway providing off road parking. The property is well appointed and occupies a sought after road located within this popular residential development in Halfway and excellent road links to Crystal Peaks and amenities within Mosborough. In brief the accommodation comprises; Entrance door to the kitchen having a range of wall and base units with integrated appliances to include gas hob, electric oven, extractor fan, along with space and plumbing for an automatic washing machine. Tiling to the splash backs and laminate to the floor. Inner hallway leading to the front facing Lounge/Dining room, Two Bedrooms both having laminate to the floor and family bathroom fitted with a three piece suite in white comprising: wash hand basin, low flush wc and bath with electric shower above. To the front of the property is a lawned garden with generous side driveway leading to the rear of the property where there is a rear well-proportioned enclosed garden laid predominantly to lawn with flagged patio area, vegetable beds and garden shed.